Product categories of Stainless Kitchen Tool, we are specialized manufacturers from China, Stainless Kitchen Tool , Kitchen Tools suppliers/factory, wholesale high-quality products of Stainless Steel Kitchen Tool R & D and manufacturing, we have the perfect after-sales service and technical support. Look forward to your cooperation! 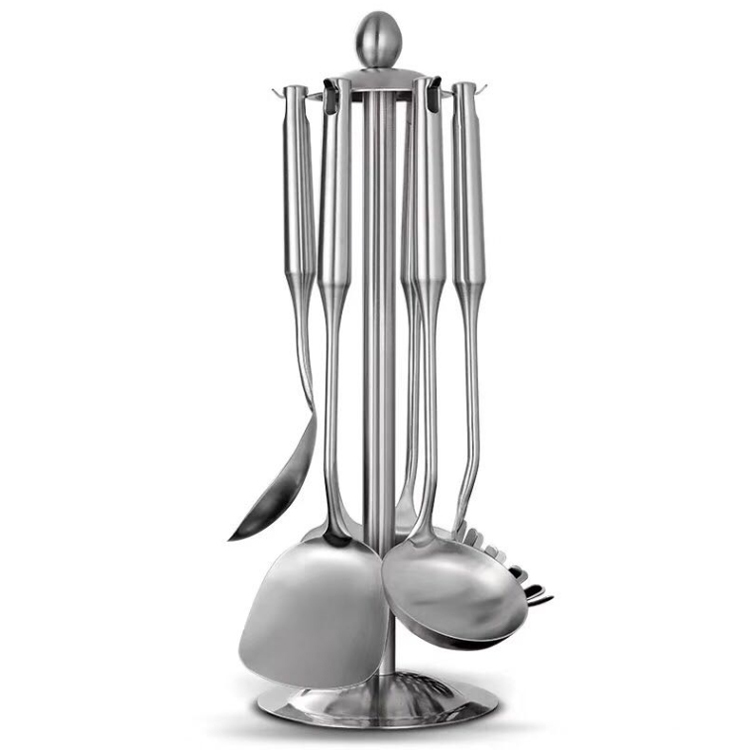 Stainless steel kitchen utensils have diversified appearance, bright gloss and smooth surface. Durable, corrosion-resistant, rust-proof, fire-proof, bacteriostasis, easy processing, no deformation and other advantages.We usually use 304 , 430 , 201 stainless steel to produce. We have many patterns . For instance , pancake turner, soup ladle , Slotted Spoon, Solid Spoon ...etc . We can make these kitchen tools' surface to mirror or satin polish. It base on what you like . In addition We can make stainless kitchen tool with different package like color box, gift box , blister card according to your design and requirements . So Welcome any OEM ! Our products deserve your possession.